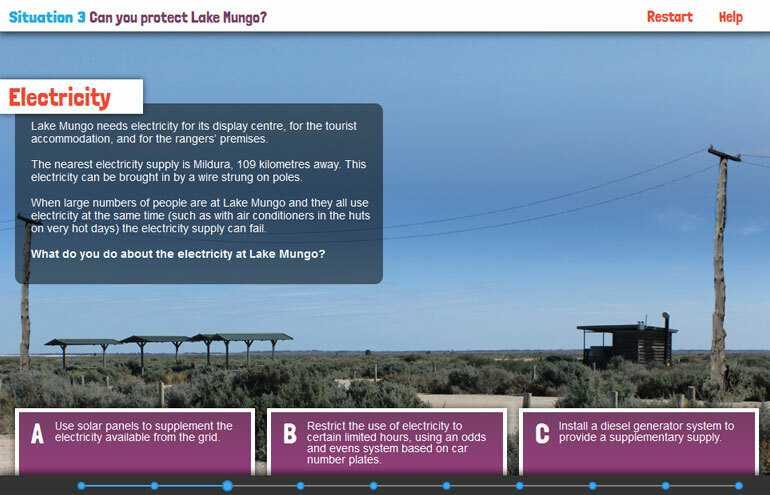 An interactive entitled, Can you protect Lake Mungo, is also available for this case study. Focus Question 1: What do archaeologists do? 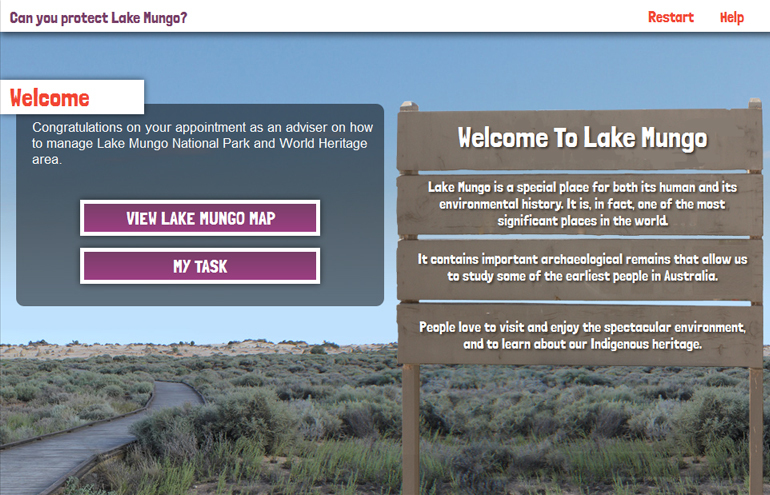 Focus Question 2: What do we know about Lake Mungo – Place, Time, Environment and people? 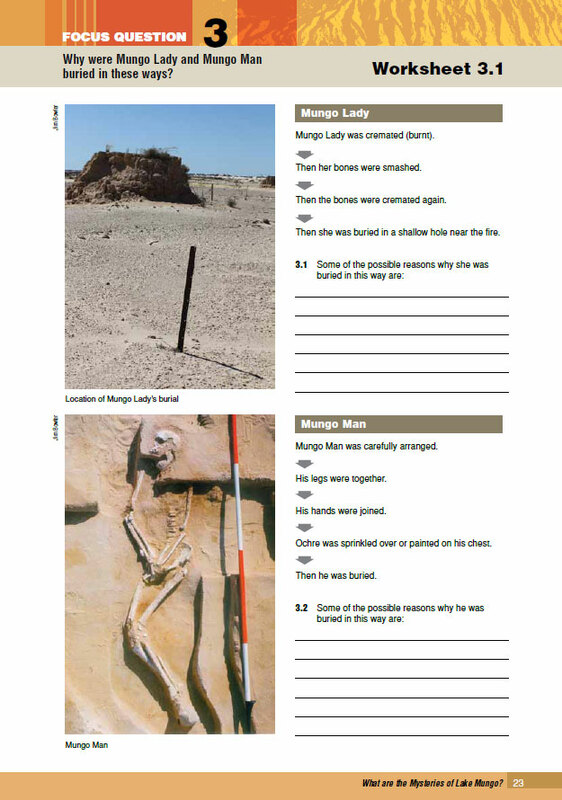 Focus Question 3: Why were Mungo Lady and Mungo man buried in these ways? 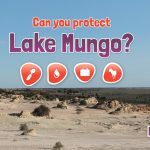 Focus Question 4: How old are the Lake Mungo people? How do we know? Focus Question 5: How were lunettes formed? 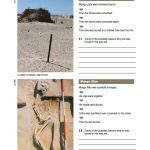 Focus Question 6: What happened to the megafauna at Lake Mungo? Focus Question 7: What was life like at Lake Mungo? 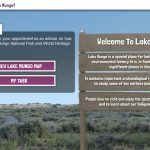 Focus Question 8: What should be done with the Lake Mungo human remains? 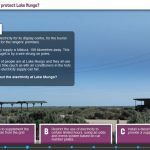 Focus Question 9: How has the environment changed over time at Lake Mungo? 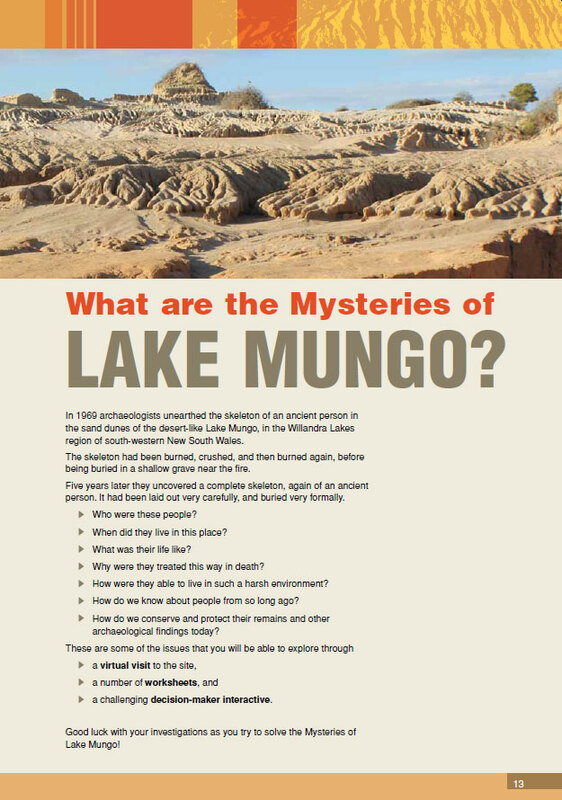 Focus Question 10: How has Lake Mungo been represented in art? 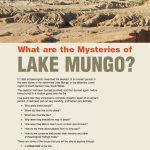 Focus Question 11: What would the Lake Mungo people tell us? 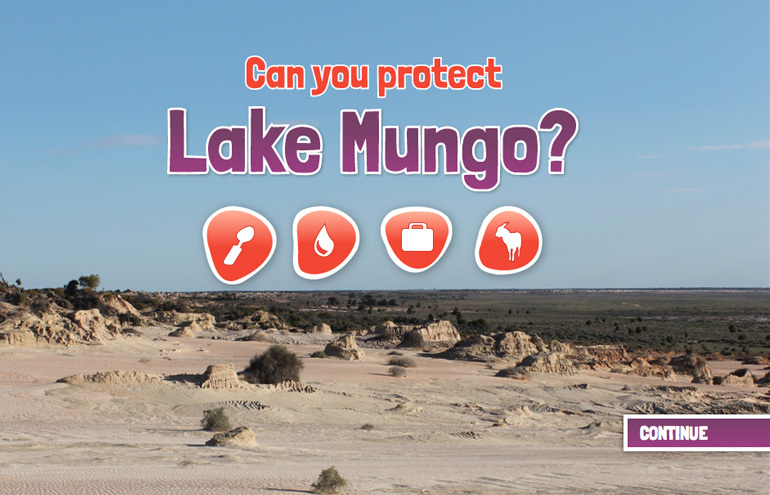 Your task is to decide on how to protect Lake Mungo National Park in 10 different scenarios.